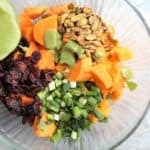 Sweet Potato Salad. 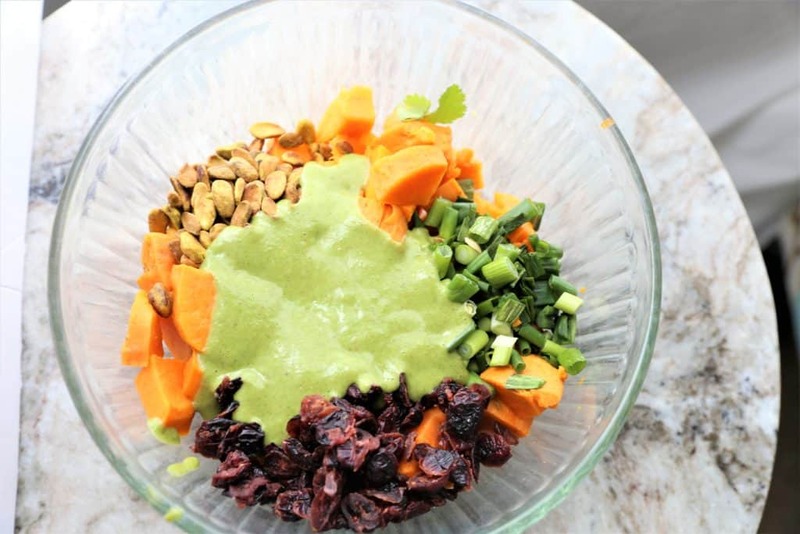 This salad as perfect as a side or a main dish and is scrumptious when topped with Cilantro Dressing. All of the ingredients lend a unique sweetness to the flavor, and the combination is light and delicious. This is a meal and a not just an ordinary salad. Vegan, gluten free and dairy free. Cook sweet potatoes (boil, or microwave) until just done, not until mushy. Peel and cut into cubes when cool. 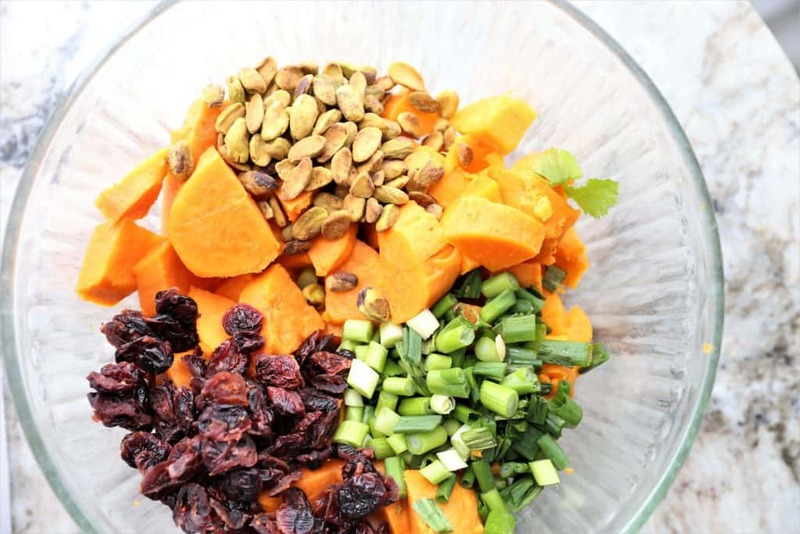 Add sweet potatoes, green onions, pistachios and cranberries to bowl. Add dressing and toss. 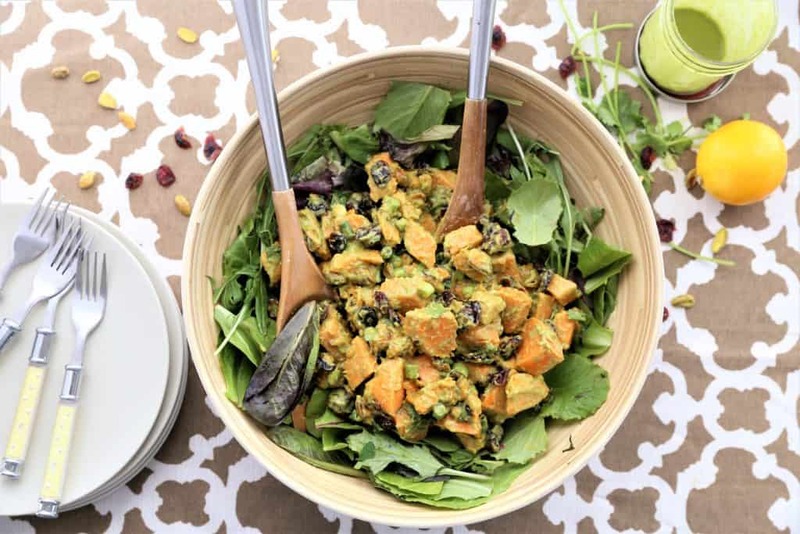 Add sweet potato salad to bed of mixed greens and serve. 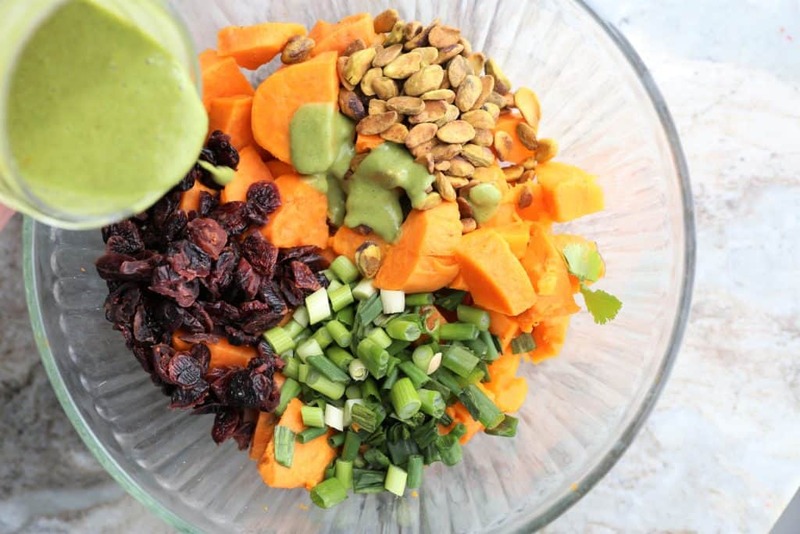 Add all ingredients in high speed blender and blend until all ingredients are smooth. 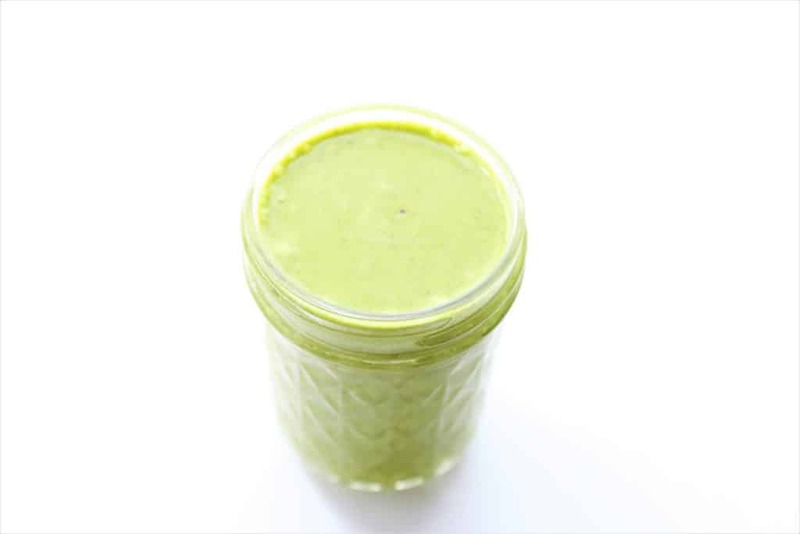 This recipe makes 12 ounces of dressing. 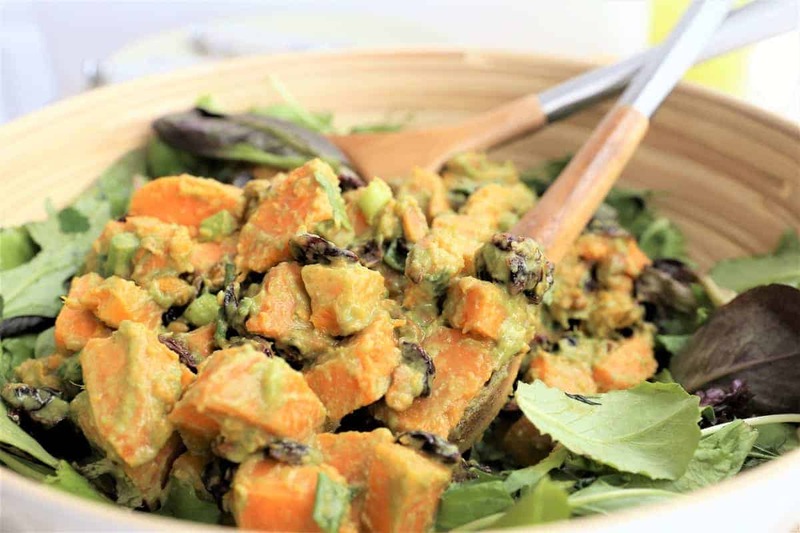 Only use 1/2 of this dressing for the sweet potato salad and save the rest for up to 10 days.